IMA has worked closely with regional and district-level MOH personnel to organize and carry out surgery camps in Masasi and Tandahimba districts. In the project’s second year, more than 1,300 patients have had TT surgery; in Year 3, IMA will begin surgery camps in three additional districts of Mtwara. In Year 2 of SAFE implementation, IMA continues to improve program efficiency and carry out quality TT surgery and eye lash epilation. The biggest highlight of Year 2 is that IMA introduced a modified case finding approach to complement the traditional method in order to discover hard-to-find cases. 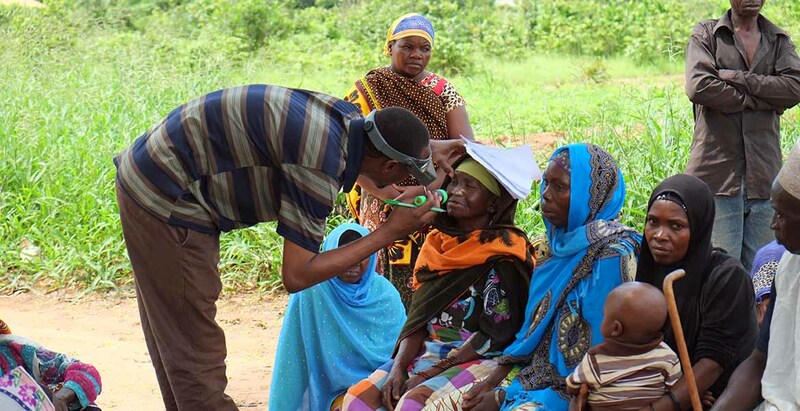 The combined approach fully engages local leaders in the area, mobilizing community members to attend the screening/surgery camps, which has raised the number of TT patients coming to the camps. In addition, IMA has cleared the estimated backlog in Masai district.